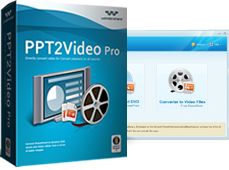 With PPT2Video Pro, you can convert your PowerPoint presentations to BlackBerry video format then view presentation files on BlackBerry anywhere, anytime at your convenience. Convert PowerPoint presentations to AVI compatible with BlackBerry. The popular video format MP4 allows your PowerPoint to be viewed on a computer without PowerPoint program installed, and even on the prevalent potable device. Distribute PowerPoint presentation with students offline. View PowerPoint courseware and practice the speech anywhere. Study new knowledge on the move. Practice and review your presentations with ease on your BlackBerry. Learn about places of interest on your BlackBerry as you travel.